Nancy Stordahl just shared her 15 random facts about herself and challenged her readers to do the same. I enjoy a good challenge so I decided to join in. Plus this should switch things up a little bit. 1. 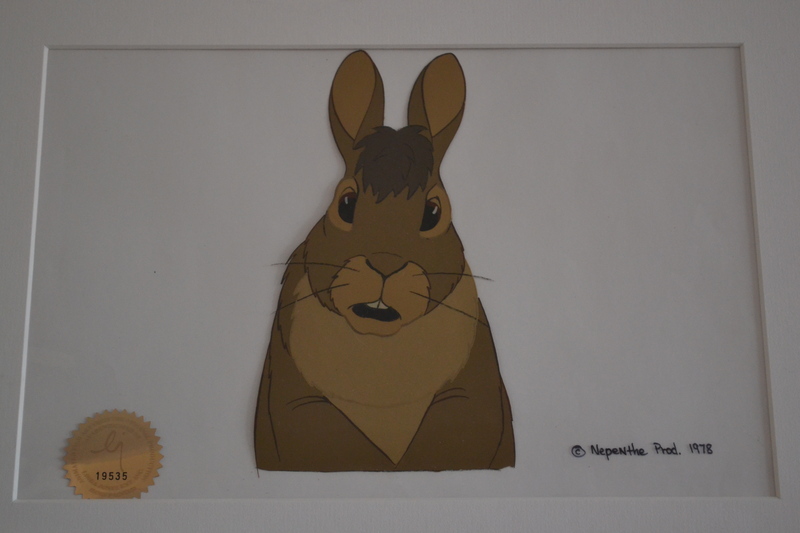 My fiancé got me an animation cel of Bigwig from the movie version of the novel, “Watership Down.” Bigwig, who was the toughest rabbit of all, is my inspiration in life. I look up at him on my wall, every time I feel like giving up. 2. I am scared of coming down escalators and steps. I imagine myself falling into the abyss. 3. I am fascinated by dreams, and treat them as if they have real meaning. I even yell at my guy for things he does in my dreams. 4. I was raised on an island…and I can’t swim. 5. I want to produce animated films based on my own fiction stories. I sometimes act them out when I am alone at home. 6. Arrogance is my least acceptable attribute in people. 7. I want a pet rat and to name him Templeton. 8. I love cartoons and still watch Looney Tunes. My favorite cartoon character is Sylvester. My least favorite character is Tweety. 9. I met my dad for the first time when I was 26. 10. I dislike drinking cold water. I only tolerate room-temperature water. 11. I am shy, but I am not shy about confronting the inconsiderate people who smoke in the hallways of my apartment building. 12. I don’t want to live in NY anymore. I want to live on a farm, far away from the city, and have a lot of animals—especially goats. 13. I fear vomiting more than just about anything. This was the #1 thing I was afraid of during chemo. I lost 30 pounds during chemo because I hardly ate. My mother told me I was going to disappear and I told her that sounded better than throwing up. 14. GYN-related stuff creeps me out. A lot! 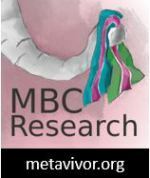 I fear ovarian cancer the most because my mama died from it. 15. My inner child never died. I just hide her to protect her. I collect all kinds of dolls. 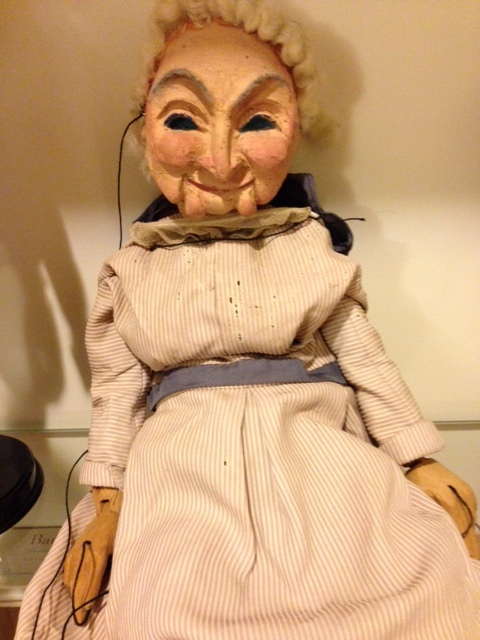 I love the hand-carved marionette I found in a flea market last year. Any time I eat finger food— french-fries, chips, toast—I never eat the part that touches my fingers. I leave the french-fry crumbs, toast crumbs, etc., in a pile on the table, even at restaurants. And yes, I clean after myself. Marionette asks: Please share some things about yourself in the comments. I would like to learn more about you. OMG #8!!! I love cartoons too-especially Tom & Jerry. And I dislike Tweety SO MUCH. I was chatting with a client the other day and he was saying how Tweety is his favorite. It was all I could do to not flip out on him! OK, calming down…guess I’m still rung up about it…. Ha ha ha! Tweety is a little S***! I don’t understand why he would be anyone’s favorite. He is super annoying. I too love Tom and Jerry! I am glad you and I share this interest! Thanks so much for participating in this blogging challenge. I enjoyed reading your list. I laughed out loud when I read that you sometime yell at your guy when/because he does things in your dreams. I prefer drinking room temperature water too, unless it’s really hot outside. I’m sorry you have to worry about all this cancer stuff. sigh… I have a feeling you write some pretty interesting stories about your childhood. Good luck with those dreams of yours to produce animated films of them. And I think maybe we all still keep our inner child hidden and protected. Thanks again for sharing. Nancy, my guy thinks it’s so unfair when I do that but I can’t help it. My short story should be available on video soon and I am thinking of sharing it with you all. It’s based on a true story with my grandma. Animation is one of those things I wish I was able to do but never accomplished it, like so many other things. For now, I’ll just stick to writing about my ideas. It’s great to know we have some things in common. Thank you for this challenge, which by the way, was a great idea and a lot of fun! Love your marionette. I hope you get to leave NYC. If you’re a farm girl, NYC has got to put you on edge. Thank you, Eileen! I am not sure I’ll ever be able to leave NY but it’s my desire to do so. I am at a point where I no longer have patience with people here. It’s a crazy city and there’s no slowing down. I just want to have peace around me. Thank you, Susan. I actually stopped eating so I wouldn’t throw up and it worked! Well, I would eat very small portions more frequently. Stomach problems really stress me out and I try to avoid them if I could. I am sorry you were sick during your treatments. I wish these treatments were easier on all of us. Not sure about the animation as it requires a lot of learning and time but I can commit to writing the stories for now. Thank you for reading and commenting! I am looking forward to learning more about you. Like you, I don’t like cold water. I have very sensitive teeth. But on a hot day I’ll drink cold water with a straw. I never want a pet rat. Never, never, never. I’m also getting tired of NY but I have to live in or near a city. I’m a city girl. And I forgot to say, great post!!! Thank you, Carrie! I enjoyed reading your list too. Ha ha ha! Come on, rats are adorable, especially those tails. I wish I had a situation where I could get to the city in minutes but then go home to my farm. We should meet up soon! I personally don’t find them adorable but to each her own. I would like to meet up soon. We’ll make it happen! Rebecca, I loved reading more about you! I think it’s cool that you collect dolls and thought it was funny that you get angry at your guy for actions he does in your dreams (although I’m sure he’s not thrilled about it). Your stories must be very interesting. And, by the way, I hate Tweety, too — I always wanted him to wind up being eaten. OMG Beth, yes! I didn’t want to come out and say it, but that’s exactly how I feel about Tweety too. I am trying hard not to take my dreams so personally, but dreams can be a little weird sometimes. My stories with my mama mean the world to me. I’ve been advised to get therapy about that because people think I am stuck in my past (childhood), but honestly, it was the best time of my life and I want to hold on to that in order to keep on going. Maybe one day I’ll share one of the short stories here for you guys to learn a little more about me (and my mama). I was happy to learn more about you, too! Mandi, I love goats!! It’s a blessing to be surrounded by animals. I can’t even have a dog because I live in an apt. but I have a kitty. If I ever visit Utah, I will let you know. Kids movies are great too — I have some favorites (have you seen “Inside Out”?). I took on the 15 Facts Challenge, too, and reading your list makes me want to 1) add to mine (for example, I’m also all about room temperature water) and 2) tell you to leave NYC, now, as soon as you can! I did 7 years ago and while I don’t have goats, I have a much quieter life filled with trees. Jenny, I know what you mean. After reading so many posts about different people I got some additional ideas too. It’s interesting how we all have some things in common. I would love to leave NY. This would be a huge decision for me but it is my desire. I am glad you are happier where you are! Sounds encouraging. Really enjoyed reading your list! So, you’re escalator challenged as well? I always have a problem getting off the darn things. I never know when to step off and as a result, become a side-show for those passing by. My friend ‘cheftracisue’ moved from N.Y. to the country and now has a farm…wait for it…with goats! I think you’re following her blog. She’s sure to have some funny stories to tell about the goats, as well as will post pictures of her polish chickens. I don’t know if you’ve seen a polish chicken or not but, they look like they’ve just returned from Mardi-Gras, with the exotic feathers and all. Now, imagine if the two of us would try taking the escalators together? I have more issues with the escalators where you can see through…down to the other floors. And I’ve been thinking of skydiving for a long time because I think that would fix a lot of my issues. Ha ha! How awesome, polish chickens! And goats! Those are part of my heaven. Goof for your friend for making it happen. I’ll be sure to read those stories. Glad you enjoyed my list. Thank you for reading and for following my blog! Ha ha ha! I know a few people with this issue.